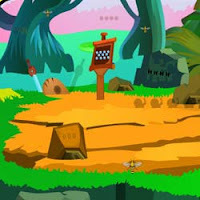 Blowing Viper Escape2 is the escape game, new point and click escape game, free escape games from ajazgames. You are in the forest capturing photographs, suddenly see a snake and one mother fox and baby fox are scared of the snake. Try to save the foxes from the snake, by solving clues and puzzles is the key to save the foxes, All the best, wish you good luck, have fun playing free online escape games from ajazgames.